You either love it or hate it, but Jeanne's Cake has become Winnipeg Famous for being on the table at celebrations for more than 70 years. But who was Jeanne, and why did her grandson sell the successful business? Jeanne's Bakery became 'Winnipeg famous' for the popular layered log cakes, but who was Jeanne? Erminio Caligiuri was driving down Winnipeg's Notre Dame Avenue when he made a snap decision last week. He pulled into the Jeanne's Bakery parking lot, went inside and bought a marble log cake. "We always get it for birthdays," said Caligiuri, "but today I'm buying one as a gift for my son. There's nothing special, I was just passing by." 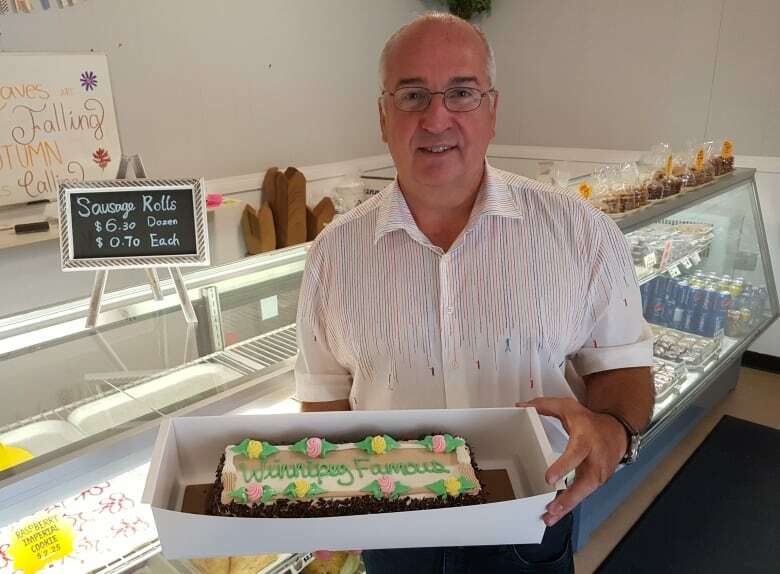 Caligiuri, like so many Winnipeggers, has made the layer cake — with its cookie bottom and signature icing — part of his family tradition for decades. The bakery currently makes between 1,500 and 2,000 cakes a week, packaging them in long white boxes with the slogan, "We Make Memories." Those who like Jeanne's cakes seem to like them a lot — people have been known to carry them on planes, chocolate curls and all, so former Winnipeggers can relive those memories by digging into a slice. 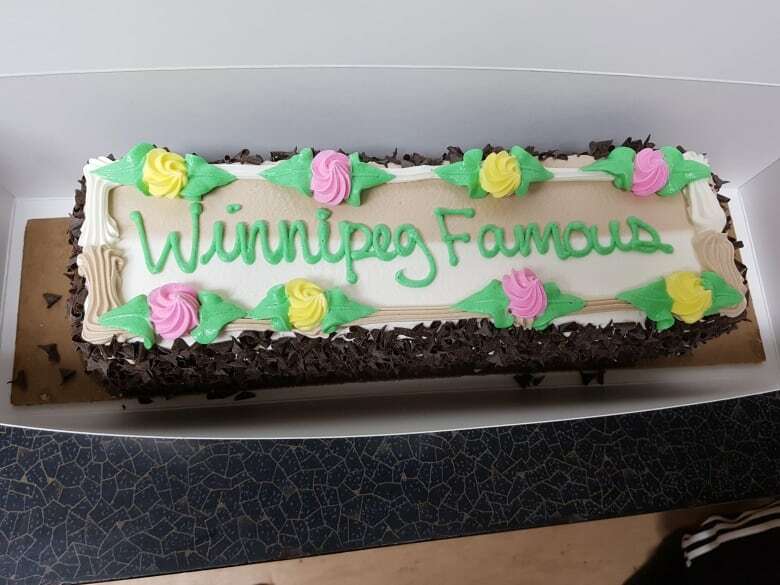 The merits and faults of the dessert are hotly debated, but there is no denying it has become "Winnipeg famous" in a way that the family that started Jeanne's Bakery could never have expected. 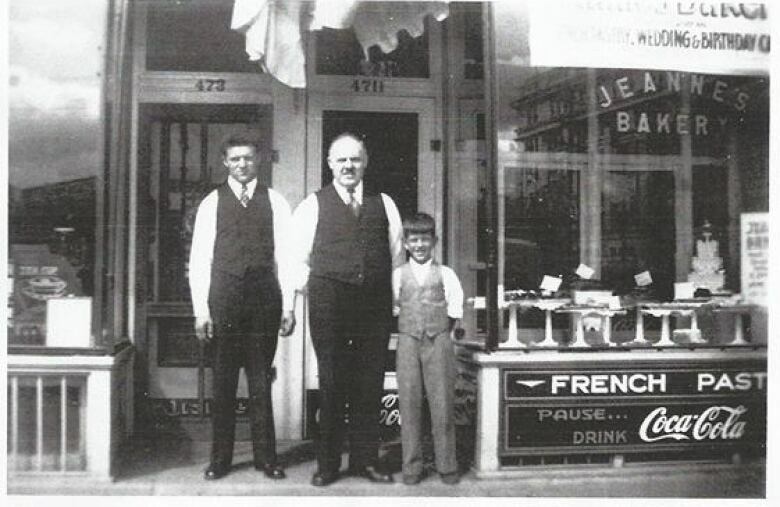 Achille Van Landeghem founded the bakery in 1938, naming it for his wife, Jeanne. The Flemish couple emigrated to Winnipeg via Saskatchewan from Belgium in the late 1920s and opened the bakery in St Boniface. 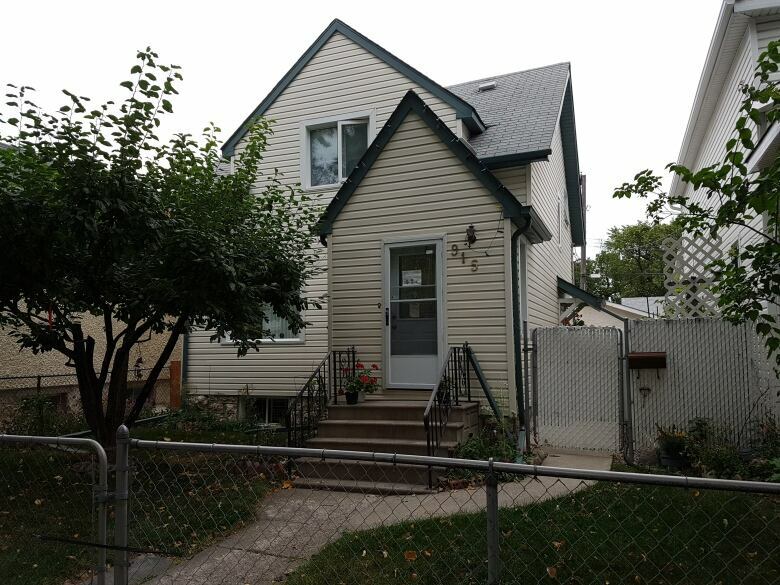 The baker and his wife later moved the business to 931 Notre Dame Ave., where it is today, and lived with their children John, Noella and Albert in a tidy two-storey house on Winnipeg Avenue, behind the bakery. "The bakery was all-encompassing," recalled Donald Van Landeghem, Jeanne's grandson. His father, Albert, met his mother, Bernadine, when she worked in the bakery as a young woman. "It's what our whole family was and spent all our time at." Van Landeghem remembers playing with dough and trying to stay out of the way as a very young child, but he was still in elementary school when he started working — along with his older brother, Alan, and sister, Brenda — at the bakery. After high school, Van Landeghem became the head baker, following his grandfather Achille's handwritten recipes, making breads, dainties, wedding cakes, and the famous Jeanne's log cake. But when Donald and Alan took over the business, they realized the Jeanne's cakes had become so popular, they were the product that was paying the bills. 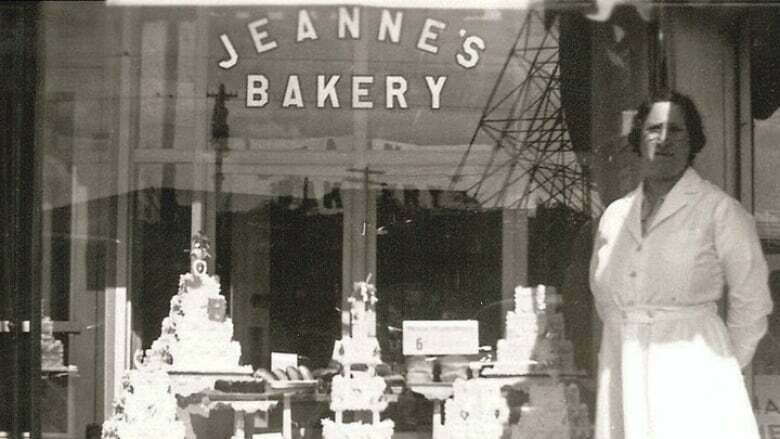 Jeanne's Bakery was at the centre of the Van Landeghem family's life. Achille handed it down to his sons John (left) and Albert. (Facebook )They started to eliminate other baked goods from the menu and focus on the layered logs. "We were banging out tons of cakes when Alan and I owned the business," recalled Van Landeghem. The brothers also branched out, selling cakes wholesale to a select number of grocery stores in the city and working long hours to satisfy demand. "It's a Winnipeg tradition, which I didn't realize growing up," admitted Van Landeghem, who knows that the cake's popularity is not understood by everyone. "I've heard some people who don't like it. I don't understand that," chuckled Van Landeghem. "They say, 'It's a cardboard bottom, what's so good about it?' But I don't know how they can't like our icing." He insists the critics don't bother him. "They're definitely the minority." The Van Landeghems might still be running Jeanne's Bakery today if tragedy had not struck in May of 2000. Just before Mother's Day, one of the busiest weekends of the year, Donald's brother, Alan, had a massive heart attack while he was at work. Donald had just left the bakery after his shift. When he got home the phone was ringing. He went straight back to the bakery and was in the ambulance when his brother was taken to Health Sciences Centre, but it was too late. Alan died at just 45 years old, leaving his wife, Barb, three children and a huge hole in the Van Landeghem family. The family and staff pulled together to keep the bakery running at full production after Alan's death but it was an awakening for Donald. He had been working there since childhood, and suddenly at age 41, he started to question that. "I had to make a decision at that point in my life if this is what I wanted to do for the rest of my life. And I wasn't sure about it after that," said Van Landeghem. "So I ran the business for three years and proved to myself that I could do it, with the support of all of my family, then I decided that it was time to move on." Jerry Penner knows the bakery business. 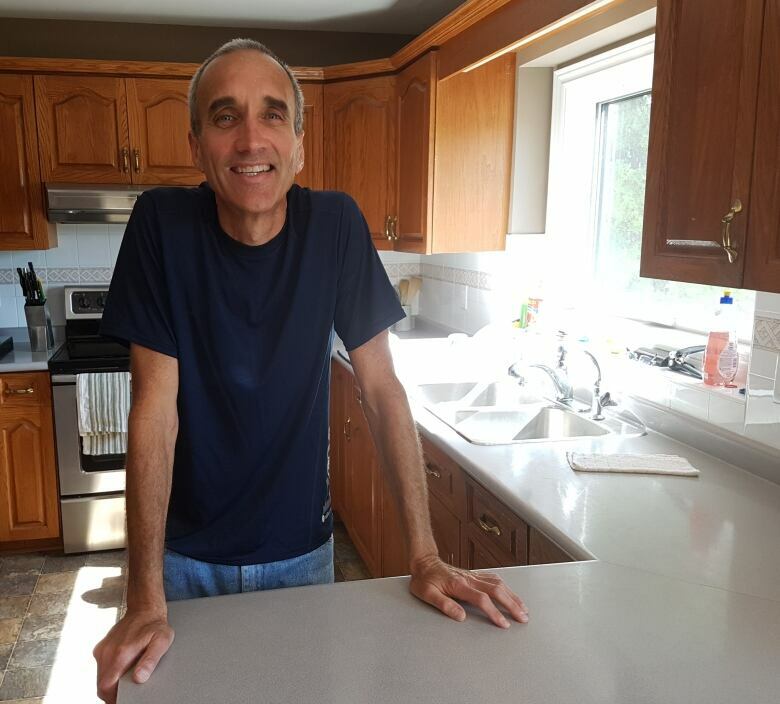 Originally from Steinbach, Man., he had owned bakeries in Morden, Winkler and Yorkton, Sask., but he had never heard of Jeanne's before learning the family business was up for sale. "It was a puzzle to me as to why it was so amazing to people," admited Penner. "So I tried it and thought, 'Hmm, it's interesting but it doesn't bowl you over right away'. But what I found out is that after you finish a piece of Jeanne's cake, you think, 'That's not bad, maybe I should have more.'" In 2003, Penner met with Donald Van Landeghem and his wife, Laurie, in their wood-pannelled office to talk about buying the buisness. "We talked about family and the importance of the business and the connection to the family," said Penner. "I think he saw in me someone who could help him in the transition of that and I did really respect the family's wishes and how they wanted the business to go." Donald Van Landeghem continued to work for Penner for a year-and-a-half after he sold the the business. Donald's dad, Albert — though in his 80s at the time — stayed on for a few months too. Donald's sister, Brenda, still works at Jeanne's bakery today. Penner sees himself as a steward of the iconic brand and has deep respect for the Van Landeghem family. But it didn't take Penner long to realize he had to live up to more than just the Van Landeghem family's legacy. "Early on, I got phone calls," chuckled Penner, "from Winnipeggers who said, 'We found out that you bought the business and we want to make sure that you're not going to change anything.' I was surprised because I'd been in business with bakeries before and never come across someone who was that passionate about the product they were buying from a bakery." Penner said since buying the bakery, he has made very few changes. He is committed to staying in the building on Notre Dame, where the air in the parking lot smells like cake, but he's bought another building that could allow him to scale up production. Penner is also exploring the potential for Jeanne's cake to become a national brand and visited British Columbia last month to research opportunities for expansion in Western Canada. He's also considering bringing back some of the dainties from Achille Van Landeghem's handwritten recipes, which he keeps in a safety deposit box. Whatever changes he makes will be done cautiously, as he is constantly aware that when it comes to Jeanne's Cakes, Winnipeggers have strong feelings. 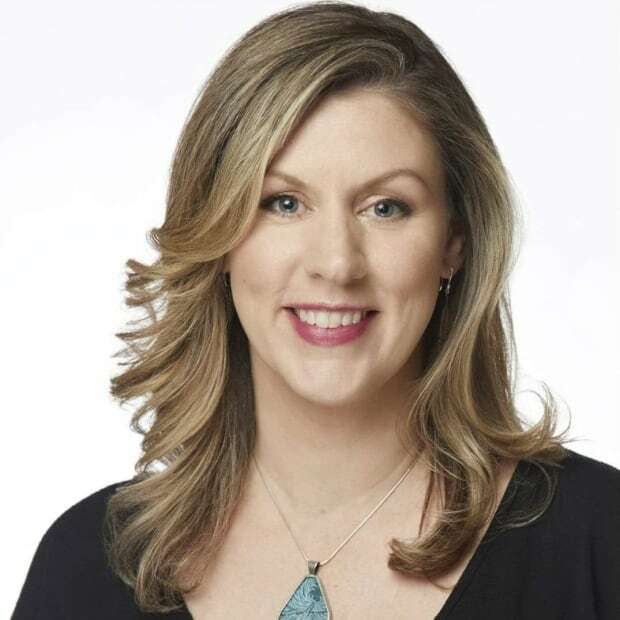 Bridget is a journalist and radio producer for CBC Manitoba's current affairs radio programs. She began her career in independent film and television production before joining CBC Radio. Email bridget.forbes@cbc.ca.